Be the first to share your favorite memory, photo or story of Stephanie. This memorial page is dedicated for family, friends and future generations to celebrate the life of their loved one. 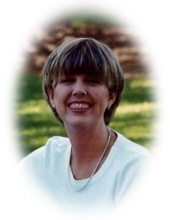 Stephanie R. Allums, age 44 of Carrollton, Georgia passed away Wednesday, November 14, 2018. Stephanie was born in Carrollton, Georgia on December 21, 1973, the daughter of Billy F. Maxwell and Margie R. Maxwell. She worked at United Community Bank in Carrollton for 15 years and was a member of Southern Hills Christian Church. Survivors include her husband Steven E. Allums; daughters, Jordan E. Allums and Kendall B. Allums both of Carrollton; father and mother, Billy F. and Margie R. Maxwell of Carrollton and a number of aunt, uncles and cousins. She was preceded in death by her maternal grandparents, Ira M. and Mary L. Frashier; paternal grandparents, C.M. and Eula Maxwell and uncle, Cecil C. Maxwell. Memorial service will be Sunday, November 18, 2018 at 3 p.m. from the chapel of Almon Funeral Home with Min. Dwayne Hicks, Rev. Lindsey Maxwell and Min. Roy Frashier officiating. The family will receive friends at Almon Funeral Home on Sunday from 1 p.m. until the service time. Memorial donations may be made to the Little Free Food Pantries in the Carrollton area. "Email Address" would like to share the life celebration of Stephanie R. Allums. Click on the "link" to go to share a favorite memory or leave a condolence message for the family.